For a lot of organisations, their employee related decisions are driven by their gut instincts, not by data. In the long run, such an approach narrows your horizons and compromises your ability to spot potential employees within the organisation. Also, when the time for appraisals come, the decision is based on the recent work of the employee but not the work he had done during the entire year. An issue tracking tool called JIRA is used by Agile teams to plan their tasks and log their efforts. 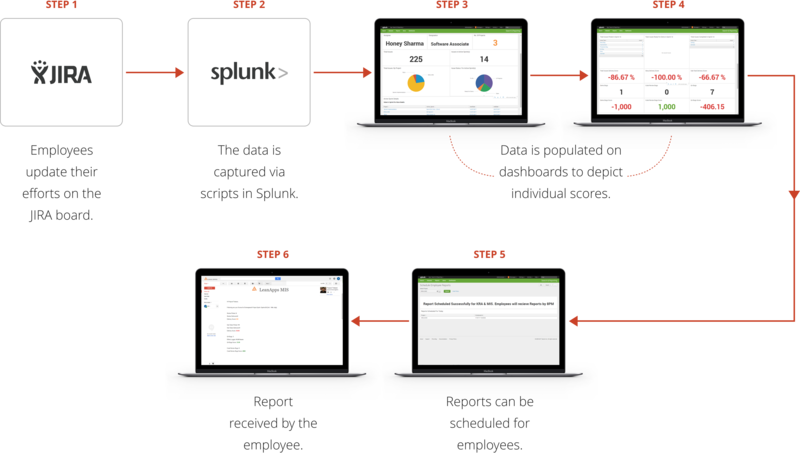 Splunk is a leading operational intelligence tool which is used to pull the data form JIRA. This will further analyze the data and generate reports in real time depending on the defined KPI's for each employee.